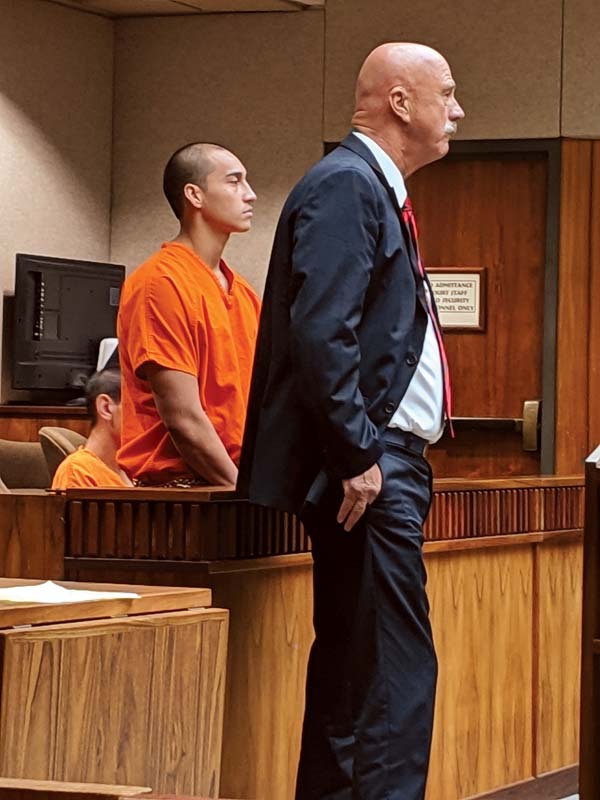 WAILUKU — A Kihei man who was a teenager when he participated in a series of “senseless and vicious” robberies and assaults during a three-day period six years ago was sentenced Wednesday to prison terms totaling 40 years. Napali Paa, now 22, received the same sentence that was handed down for the crimes in 2016 before he appealed his conviction and sentence. Corpuz crawled to a nearby residence and was taken by ambulance to the hospital with injuries including multiple contusions, lacerations and a nasal fracture, Bernard Lee said. The next evening, 63-year-old California resident Richard Jackonski was leaving a portable toilet at Makena State Park when he was struck on the head by co-defendant Pohakuloa Kahue and fell to the ground, Bernard Lee said. She said Paa and Kahue began beating Jackonski, with Paa using a stick. 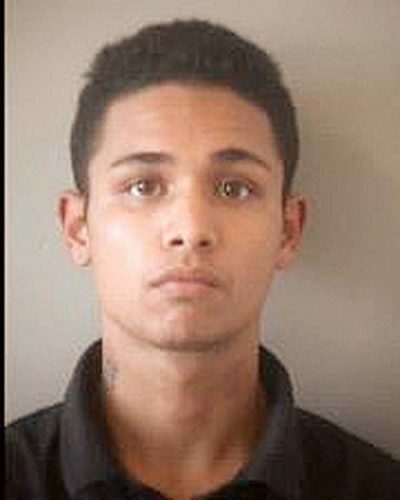 Two other teenage boys were present when Jackonski’s rental keys, backpack, wallet and flashlight were stolen and the teenagers fled in his rental car, Bernard Lee said. 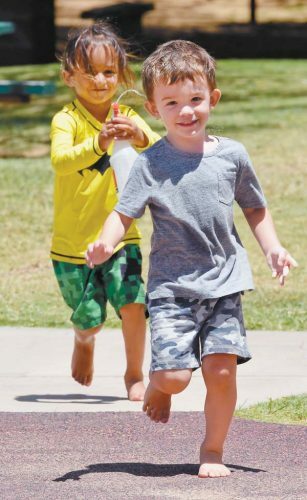 After someone found him and took him to the Kihei Police Station, he was transported to the hospital with extensive injuries, Bernard Lee said. Paa pleaded no contest to first-degree assault of the tourist. 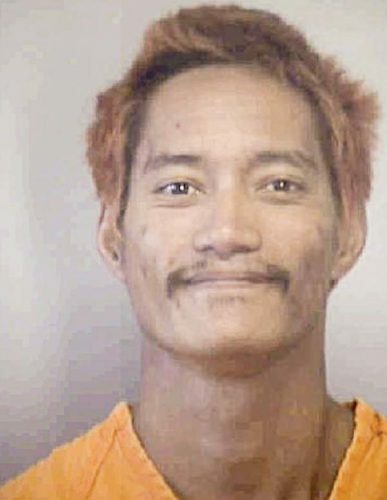 Bernard Lee said “the third senseless act of violence” occurred Dec. 19, 2012, when Kahue, Paa and the other two teenagers went to Wailuku Heights in the stolen rental car to “case” houses. While one teenager remained in the car, the others broke into a house on Polulani Drive by removing a bathroom window screen, Bernard Lee said. She said resident Daniel Rollins encountered Paa and Kahue, who attacked the 84-year-old man and “began to brutally punch and kick him in the head and body” so he lost consciousness. The burglars searched the home for valuables before stealing a BMW sedan that belonged to Rollins’ son from the garage, Bernard Lee said. His son found Rollins, who was hospitalized in the intensive-care unit with a severe concussion and bleeding in his brain, Bernard Lee said. She said Rollins died of his injuries on Oct. 7, 2017. Paa pleaded no contest to first-degree robbery in the case. Bernard Lee said Paa admitted to the beating and said he was under the influence of ice. Kahue, who was 17 when he committed the crimes, was sentenced in 2014 to prison terms totaling 60 years. After Paa appealed his original 40-year sentence, the state Intermediate Court of Appeals vacated his conviction and sentence and sent the case back to 2nd Circuit Court. Paa chose to again plead no contest to the three charges. In court Wednesday, Paa asked to be sentenced to a shorter prison term, saying he was 16 years old at the time. “I was one kid. I wasn’t in my right state of mind,” he said. “But I take full responsibility for what I’ve done. I know what I did was wrong. His attorney, John Parker, said Paa was “a child” at the time. “It was a monster child, but it was a child,” Parker said. “Sometimes children commit horrible heinous crimes. It doesn’t justify it. In arguing for the 40-year prison term, Bernard Lee said nothing had changed since Paa was sentenced in 2014. “The nightmare that occurred is still the same nightmare for the victims,” she said. Corpuz said he remembered being unconscious in the hatchback of his car while being kidnapped. “Every time I regained consciousness, I would be beaten back into unconsciousness,” he said in court Wednesday. He asked for the beating to stop, but it continued, he said. “Why should we consider giving you mercy?” Corpuz asked, directing his comments to Paa. “You say you’re sorry. But I wonder if you can name all three of your victims today. Paa’s grandmother said she had been angry when she learned about what Paa and the others did. “I cannot understand why they did what they did,” she said. “But then he told me, ‘Grandma, please forgive me,’ and I told him if God can forgive me, I can forgive you. As Judge Loo spoke about how Corpuz was dumped “like a bag of garbage on the roadway,” Paa interrupted. Judge Loo noted that Jackonski has permanent scars and still suffers from pain that has affected his ability to work. She said Rollins had been healthy and building stone walls and enjoying his retirement before the attack. Afterward, he was bedridden and couldn’t eat on his own, she said. Although Paa reported he felt forced to participate, “You had choices that night and the following night and the next night,” Loo told him. Like Paa, she said the victims have family members who love them. Paa was ordered to pay restitution totaling $28,889.